With the 848 Food/Beverage Titrino plus Metrohm offer a complete titration package, simple and reliable work is guaranteed. 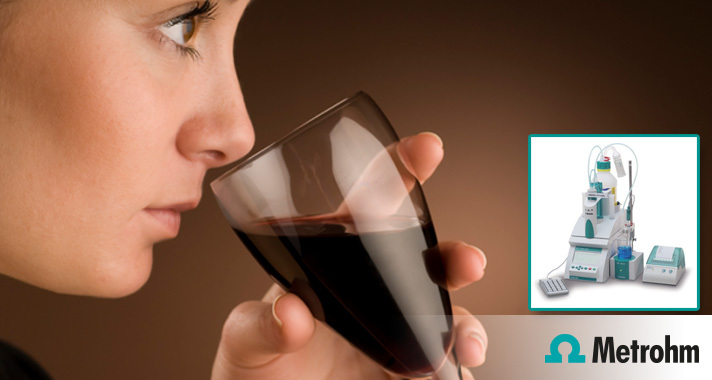 The wine industry is subject to strict regulations on the quality and safety of its products. This is not without reason. 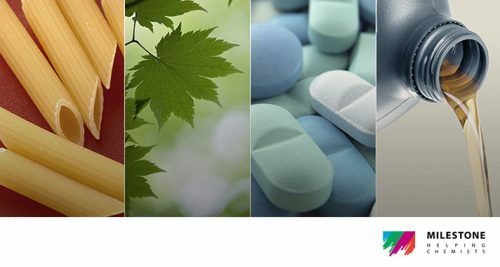 If contaminated foodstuffs reach the retail market, the consequences can be dire – not just for consumers. The Unitrode is calibrated with buffer solutions pH 4 and 7. Afterwards the electrode is rinsed with distilled water and then immersed in the undiluted wine sample. Wait until the drift criterion is met. 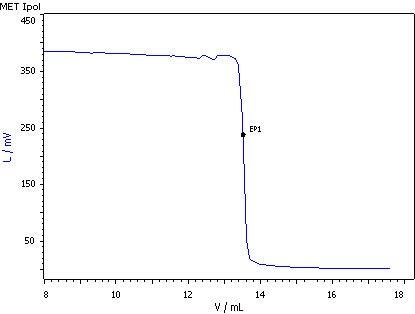 The calibrated pH glass electrode can be used for this titration. First, carbon dioxide must be removed from the sample. This is best done by passing nitrogen through the sample for 3 to 5 min. Exact 10.0 mL wine and approx. 10 mL distilled water are pipetted into a titration beaker. The CO2 is removed as described above. While stirring, the solution is then titrated with c(NaOH) = 0.1 mol/L to pH = 7 using the SET mode. To determine the free sulfurous acids, the double Pt sheet electrode is used and connected to the «Pol.» input of the instrument. 50 mL sample is pipetted into a titration beaker, 1 g KI is added and the mixture is stirred briefly. 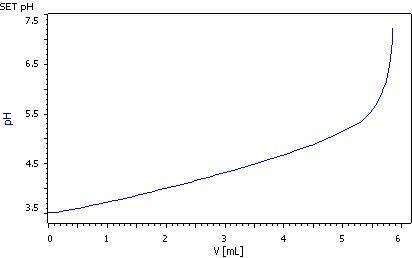 After the addition of 5 mL sulfuric acid w(H2SO4) = 25%, it is titrated with c(1/6 KIO3)= 1/64 mol/L using the MET Ipol mode. To determine the total sulfurous acid, the bound sulfuric acid has to be released first. This is done by means of hydrolysis with the sodium hydroxide solution. For that, a Pt electrode is used. 50 mL sample is pipetted into a titration beaker, 25 mL of c(NaOH) = 1 mol/L is added and the mixture is stirred briefly for 10 min. Then, 1 g KI is added. 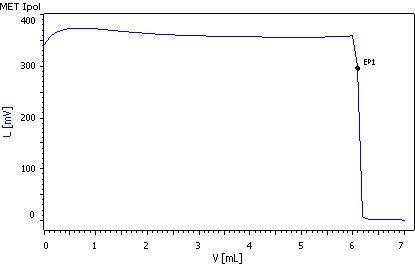 Finally, 25 mL w(H2SO4) = 25% is added and titrated immediately until after the first equivalence point with c(1/6 KIO3)= 1/64 mol/L using the MET Ipol mode. 50 mL sample is pipetted into a titration beaker, 2 mL of the glyoxal solution is added and then the mixture is stirred briefly for 5 min. 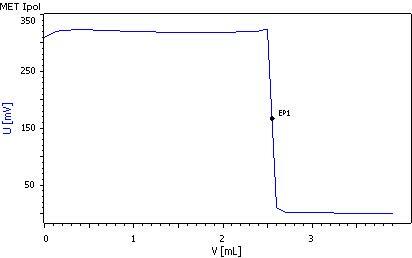 Then, 25 mL w(H2SO4) = 25% is added (no KI) and titrated immediately with c(1/6 KIO3)= 1/64 mol/L using the MET Ipol mode.